In our weekly look at the rankings in our Stock Score Report we once again find a handful of attractive stocks sitting at the top of the hill. Most of the names we have seen before in recent weeks, with one new addition joining the exclusive stocks pulling top marks this week. With the recent volatility we have seen in the market, including Tuesday’s big sell that sent indices down over 3%, it is more important than ever to have a balanced approached in our stock picking. The Stock Score Report does that, which is why we have consistently found stocks that have continued to trend higher. The Stock Score Report ranks the overall stock universe in two ways to balance technical and fundamental approaches to stock picking. By using technical and fundamental data to reach an overall ranking the screener highlights stocks enjoying bullish runs with strong fundamentals to warrant additional upside in the stock. As you look at holdings to sell before the end of the year for tax advantages you will need to find somewhere to invest those proceeds. This week’s top stocks are definitely worth consideration. QuinStreet, Inc. (QNST) has been among the top ranking stocks for the last several weeks. Stock Score Report currently gives the stock an overall ranking of 96, with near perfect scores in all categories. The company is growing rapidly, with earnings expected to rise 112% per annum over the next five years. The explosive forecast growth has the market excited, but shares remain favorably priced with a forward P/E of 18. QuinStreet provides online marketing services. QNST is in the upper end of 52-week range at $15.83 and analysts have an average price target of $18.55 on the stock. Click here to see a full copy of the report. Mellanox Technologies (MLNX) is a semiconductor company. The stock gapped strongly higher in October following a strong Q3 report. The company posted solid beats on both the top and bottom line with earnings up 87% year over year, resulting in a strong move higher. Stock Score Report gives MLNX an overall ranking of 94 at this time with near perfect technical scores with a strong 83 fundamental score. The stock continues to show strength even as the tech sector has been under pressure and analysts remain upbeat on the stock and expect shares to build on their recent gains. MLNX is now trading at $94.47 with an average price target of $110.27. Nomad Foods (NOMD) is a U.K. based packaged foods company. Nomad manufactures and distributes frozen foods in Western Europe. 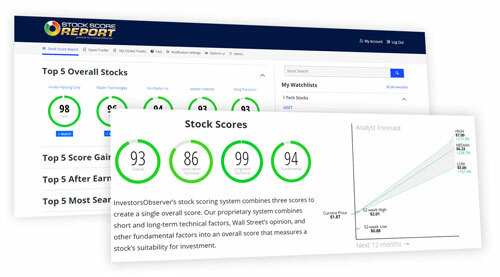 Stock Score Report gives NOMD an overall score of 92. The stock’s technicals are great and it gets a very high fundamental score of 96. Earnings have been on the rise and are expected to grow 15% per annum over the next five years. The strong forecast growth and a forward P/E of just over 13 creates a lot of upside potential for NOMD. Analysts believe the stock is very undervalued, with an average price target of $24.00. With NOMD currently trading at $19.51, the price target suggests 23% upside potential. Stock Score Report gives Agilent Technologies (A) an overall score of 92. Agilent provides diagnostic and research application solutions. It has been a volatile year for A, but shares gapped higher in November after the company posted much stronger than expected fiscal fourth-quarters on both the top and bottom line. Earnings growth has been a problem for the company in recent years with profits down 2.1% per year the last five years, but analysts see the company turning that around and growing profits at an average annual rate of 10.5% for the next five years. The stock is trading just shy of its 52-week high at $72.91 with an average price target of $79.91. 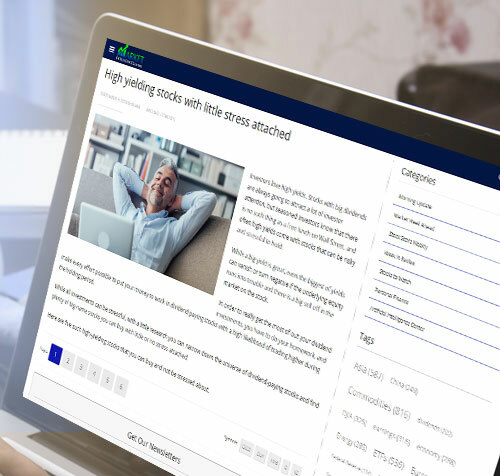 Euronet Worldwide (EEFT) has been near the top of the rankings for the last several months as the stock has enjoyed a strong bull run which started in early April. Stock Score Report gives EEFT an overall ranking of 93. Euronet provides transaction processing to institutions and individuals worldwide. The stock is up 65% from its 52-week low in April, but analysts continue to see additional upside. EEFT is trading at $116.26 with an average price target of $139.29. The stock has an attractive valuation with a forward P/E of 17 and earnings expected to rise 15% annually over the next five years.